There are cookie butter spreads out there, but they are all loaded with calories and sugar. Zach, the founder of Flexible Dieting Lifestyle, wanted to come up with an alternative. He wanted to make it easy for anyone to enjoy cookie butter without totally blowing their caloric and macro goals for the day. Protein Cookie Butter Powder was born, but it was just a product with no identity. That’s where I came in. I worked closely with Zach to design the labels for his new product. Such an innovative and exciting product needed a label and identity that matched that! 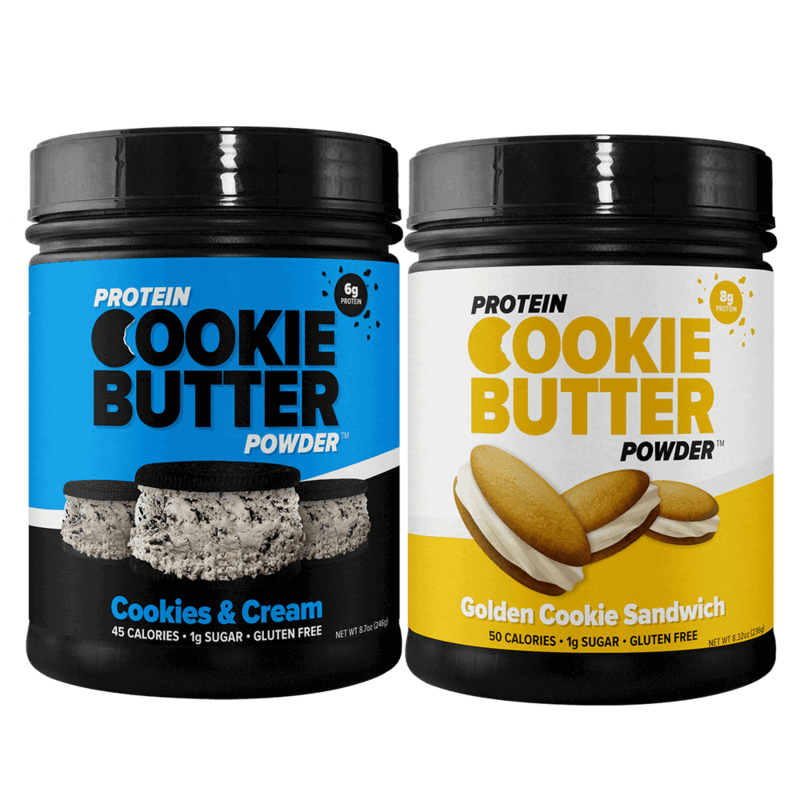 Along with new labels, we put together marketing materials to successfully launch the product to the public, and provide customers with invaluable resources and recipes to go along with their new Protein Cookie Butter Powder. Protein Cookie Butter Powder started as an idea, but needed an identity. We went through nearly 100s of iterations of labels until we finally landed on designs that encompass what this product is all about. It was important to capture that “wow” factor, and make you drool just looking at the packaging. The labels not only feature appealing visuals, but all of the most important information laid out in an easy-to-understand way: calories and protein content, gluten free, instructions, suggestions, and more! For the launch of the product, we put together a recipe book for customers to download for free after their purchase. Since Protein Cookie Butter Powder was created as a child of Flexible Dieting Lifestyle, which is all about creating macro-friendly recipes, it’s important for customers of this product to have access to unique recipes! 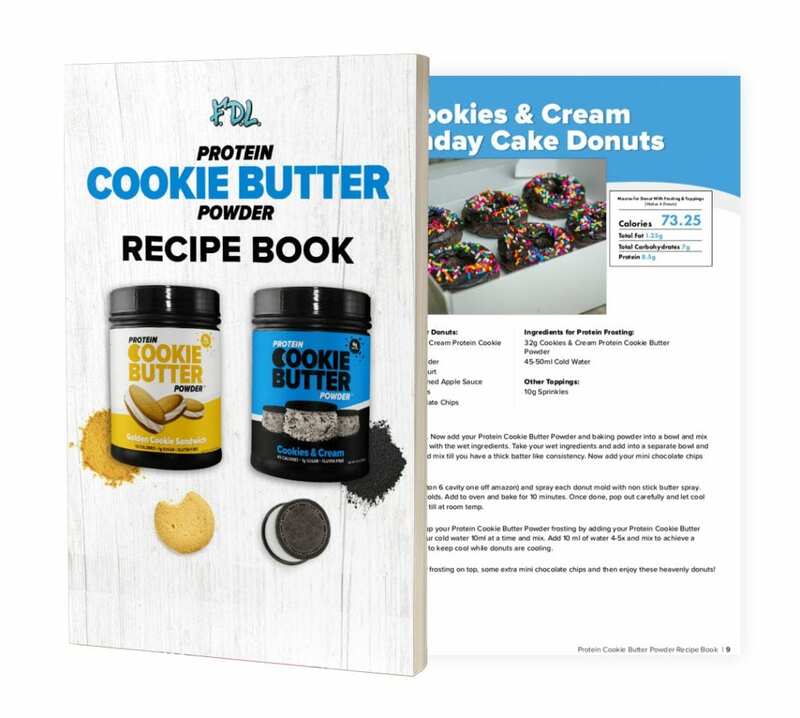 The recipe book features recipes for both the Golden Cookie Sandwich and Cookies & Cream flavors, and includes a wide variety of recipes so anyone can find something they enjoy.